For people who really, really love milk tea. (SPOT.ph) Sometimes the milk-tea craving just sneaks up on you and we totally get it. Luckily, there are a lot of places—from Japanese restaurants, cafés, and yes, even milk-tea shops—that deliver straight to your door. Now’s your chance to skip the lines and have your favorite drink, wherever you are. 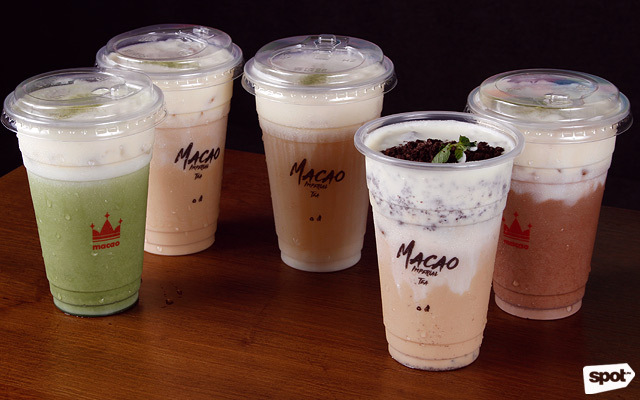 Macao Imperial Tea started as a milk-tea chain in Macau, but it’s since branched out to the rest of Southeast Asia. With over a dozen branches (and counting!) all over Manila, it’s easier than ever to get your hands on their best-selling Chestnut Cream Tea (P135) and Cream Cheese Milk Tea (P135). They’ve even got your juice, coffee, and chocolate-drink cravings covered, too. This popular Taiwanese tea shop is a no-fail when it comes to quenching your tea and milk-tea cravings. 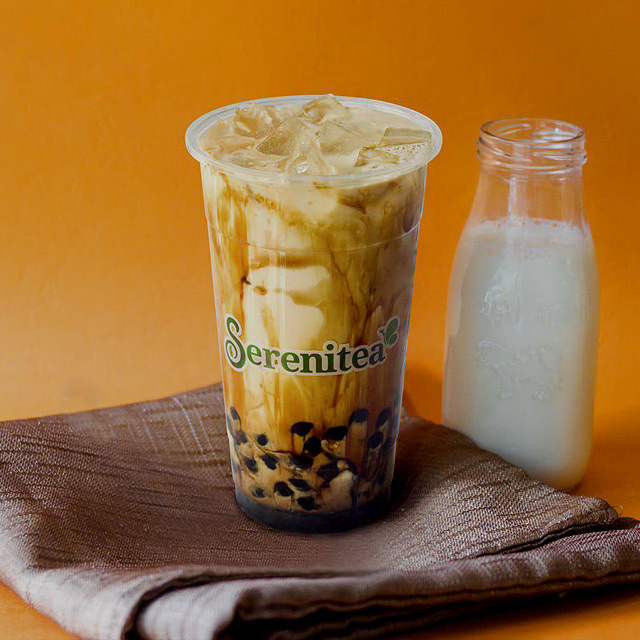 Serenitea's menu is short and sweet, so you don’t have to worry about having too many choices. Here, you can enjoy some well-loved classics like a cold serving of Assam Milk Tea (P95/medium, P105/large) and Wintermelon Milk Tea (P100/medium, P110/large), complete with your choice of sinkers, or even a more indulgent option like their crowd-favorite ice cream-based Cookies and Cream Milk Tea (P145). Sharetea changed the milk-tea game by being one of the first shops to offer milk-tea delivery in Manila. While there are only a handful of branches across the Metro, that shouldn’t stop you from trying their take on the popular Taiwan Classic Pearl Milk Tea (P90/regular, P100/large), or their refreshing Hazelnut Milk Tea (P90/regular, P100/large). For an even creamier drink, the Hokkaido Pearl Milk Tea (P95/regular, P105/large) is richer than your run-of-the-mill drinks. 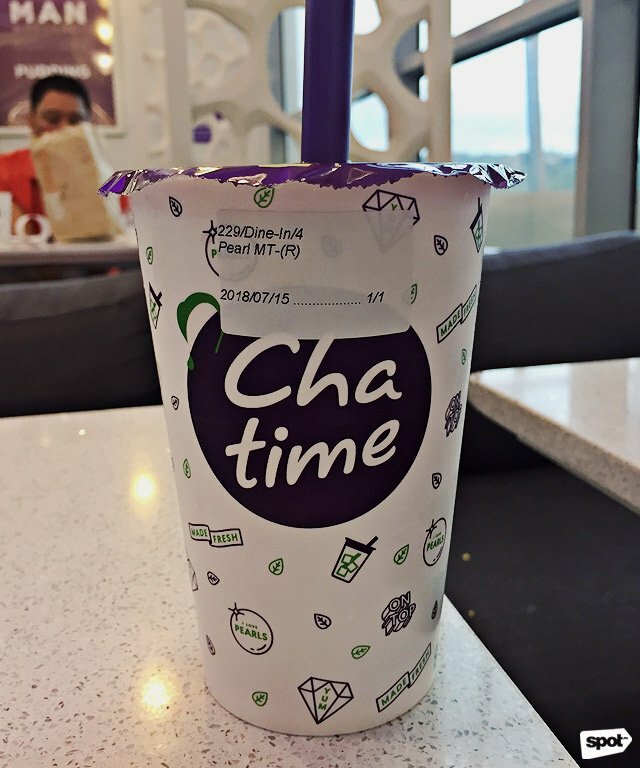 With dozens of branches scattered across the Metro, you can practically get a cup of Chatime anywhere. 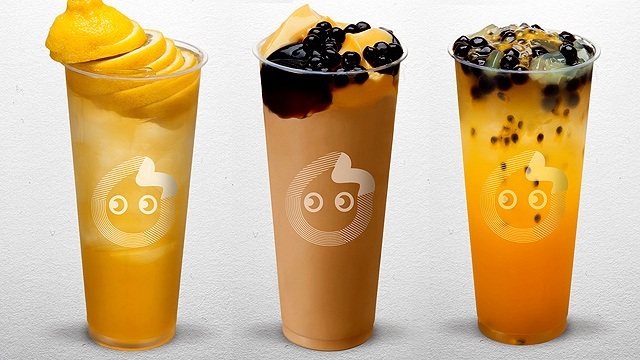 They've also got an impressive arsenal of milk teas, smoothies, lattes, and fruit teas, making them one of the top milk-tea shops in Manila. Their Thai Milk Tea (P90/regular, P100/large) is a creamier and more robust version of their classic Chatime Milk Tea (P90/regular, P100/large), which makes use of spiced black tea. If you want something unique, it’s hard to go wrong with their Coffee Milk Tea (P105/regular, P115/large) or their refreshing Lychee Milk Tea (P95/regular, P105/large). 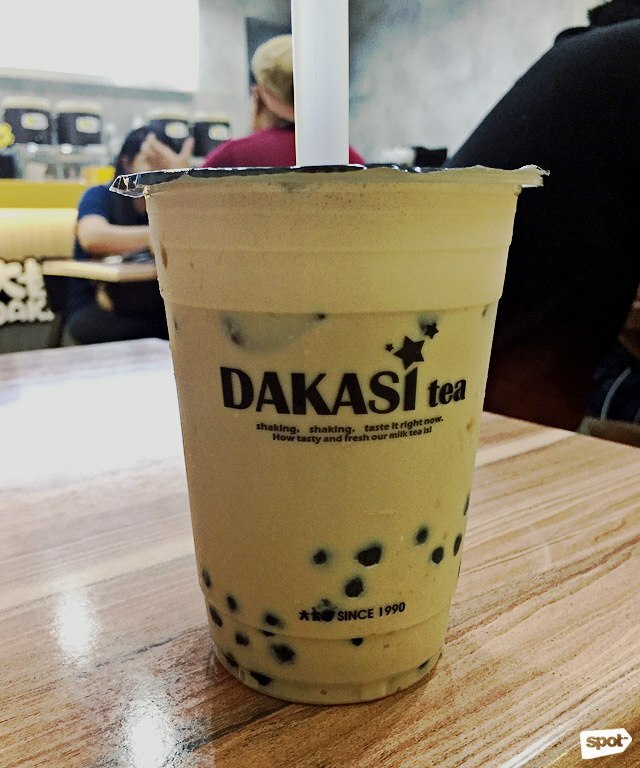 Dakasi is known for their very creamy milk teas, and they’ve got a pretty big selection of drinks to choose from. A great intro to their menu is the Okinawa Milk Tea (P110/regular, P120/large), which uses roasted brown sugar for a deeper flavor. If you need something extra refreshing, the Filipino-inspired Halo Halo Milk Tea (P140) might just tickle your fancy. 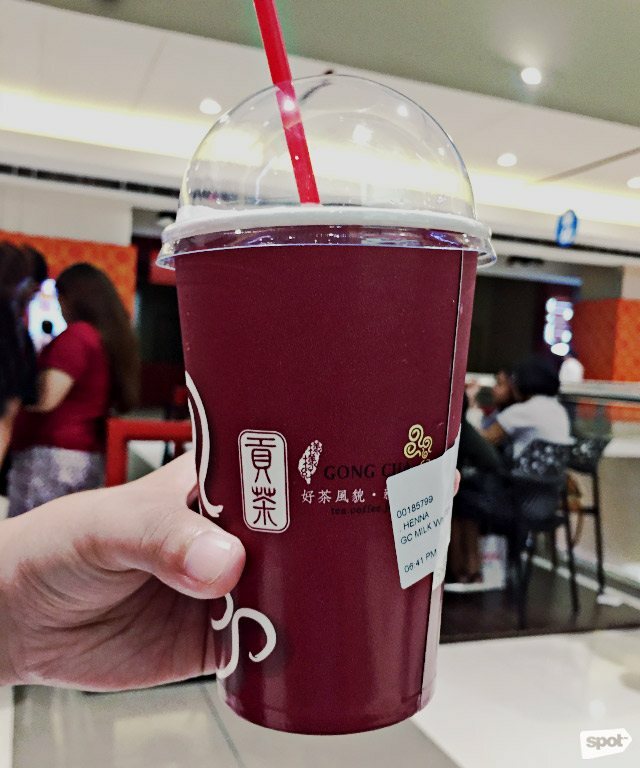 Gong Cha was one of the very first milk-tea joints in Manila and it remains a fan favorite to this day. 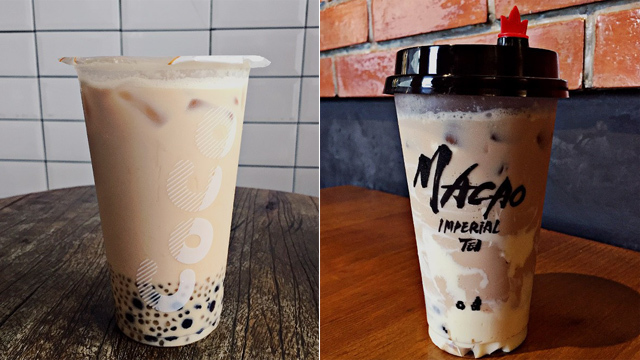 If you’re hankering for their sweet Gong Cha Brown Sugar Black Tea with Milk (P115/medium, P130/large) or the nutty Toffee Caramel Milk Tea (P90/medium, P105/large), you no longer have to scour for a nearby branch to get one. They even have a wide range of wintermelon-based, chocolate-based, and coffee-based milk teas for whatever mood. 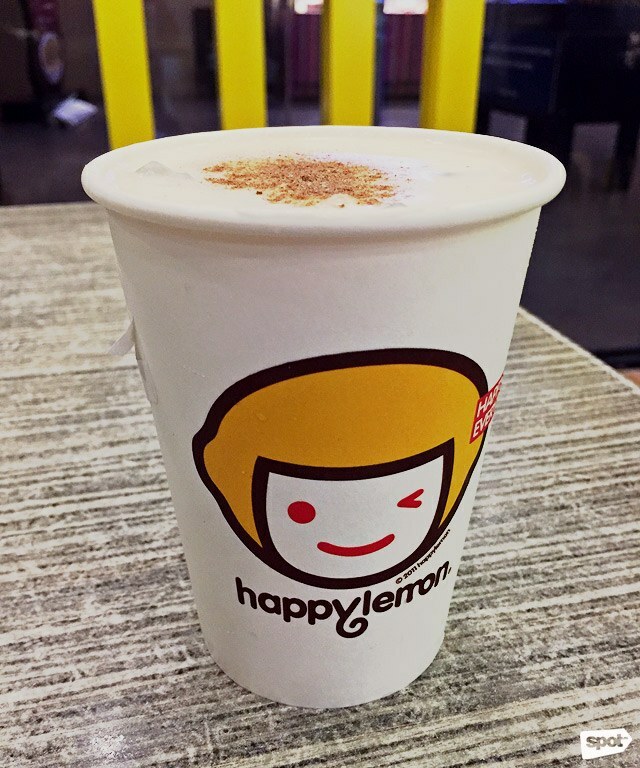 There’s a huge chance you probably had your first milk tea at Happy Lemon, especially since it was one of the first stalls in Manila where you could get the creamy Taiwanese drink. After all, how many people do you remember raving about the best-selling Cocoa with Rock Salt with Cheese (P109/large, P129/jumbo)? 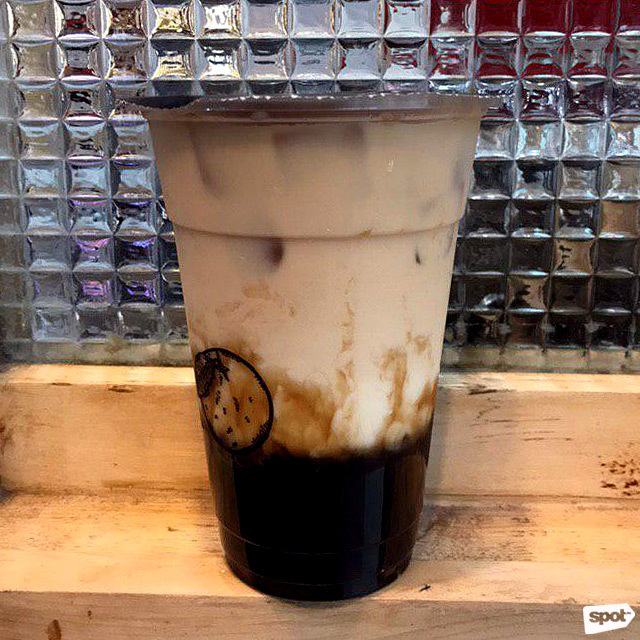 Besides that glorious chocolatey creation, go for the Tiger Milk Tea (P99/large, P109/jumbo), which comes with a generous helping of brown sugar syrup and chewy pearls. Ever wanted to buy milk tea at CoCo only to be greeted by a snaking long line? 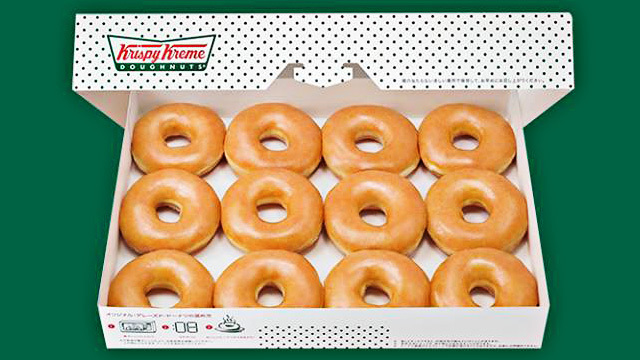 Instead of queueing for 30 minutes, why don’t you just have your drink delivered to your home or office desk? Their Coco Milk Tea (P85/regular, P95/large) will always be a classic choice, with strong black tea tempered by the creaminess of milk. Now’s also your chance to try this underrated variant: The Salty Cream Milk Tea with Pearls (P110/regular, P120/large) is a real treat, with a balanced salty-sweetness that’ll make you want more. 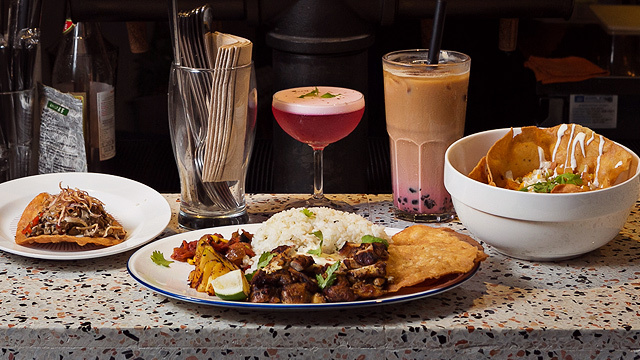 This Asian-fusion tea shop has an assortment of Japanese dishes and tea-based drinks to satisfy your hankerings. Their rich Royal Milk Tea with Bubbles (P115/medium, P125/large) comes with chewy pearls cooked al dente, so you can enjoy a little bite. In case you want to switch up the usual, you can opt for the Almond Milk Tea with Bubbles (P115/medium, P125/large), which substitutes milk with a nutty almond milk. Taiwanese tea shop YiFang may be known for their refreshingly addictive fruit teas, but their concise milk-tea selection doesn't disappoint. It’s hard to go wrong with the basics, like the Brown Sugar Pearl Milk Tea (P120/medium, P140/large), with an almost caramel-like brown sugar syrup. If you’re looking for an extra kick in your drink, the Black Sugar Pearl Tea Latte (P120/medium, P140/large) is a three-layer drink with tea, milk, and coffee that will do the trick.